A winch with More Power in a Compact size for high efficiency performance. 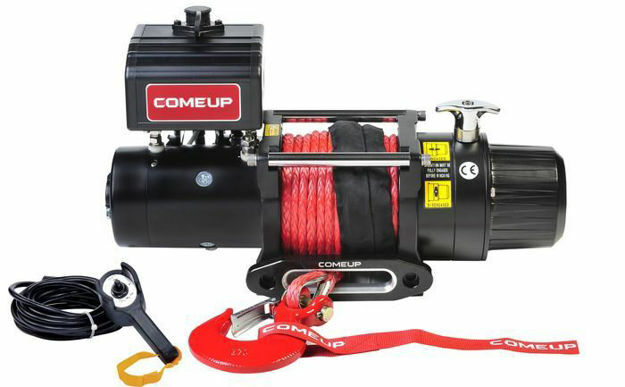 COMEUP's DV-12 light is the brand new self-recovery winch specifically designed for off-roaders who have heavy loading requirements. Features such as compact size, light-weight, extreme low profile and spec-leading 12,000 lb pulling makes it the optimal winch to fit in the limited space for front-mounted installation on most of the current off-road vehicles. It comes with supreme power for safe and effective winching that enables you to Work Tough, Play Tough on the toughest jobs under extreme rugged environments. Meet international standards of CE Machinery Directive 2006/42/CE and CE Electromagnetic Compatibility Directive 2001/108/EC.